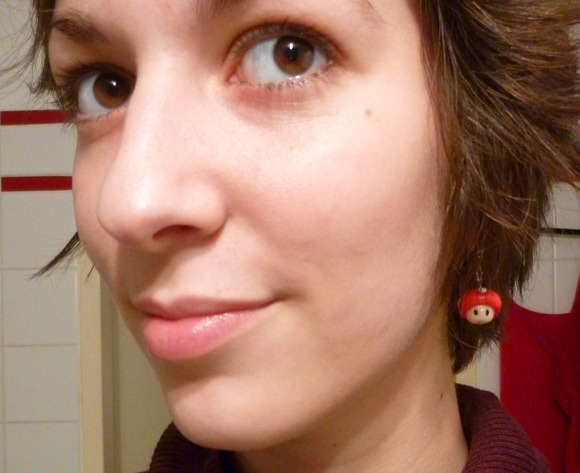 A set of super mario-inspired earrings I made for myself. 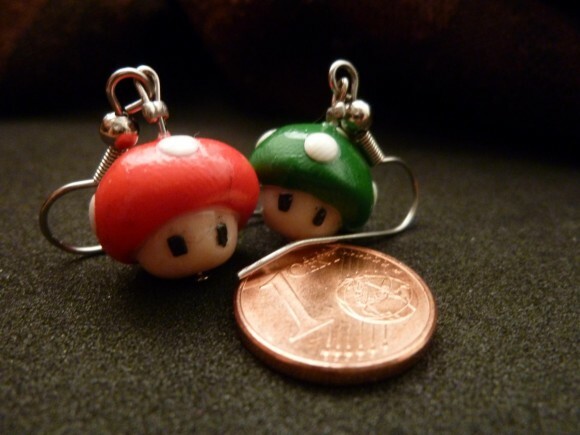 Mushrooms are made out of clay and are about 1cm small. Silver earring hooks are attached to them. Email me if you want one of these! 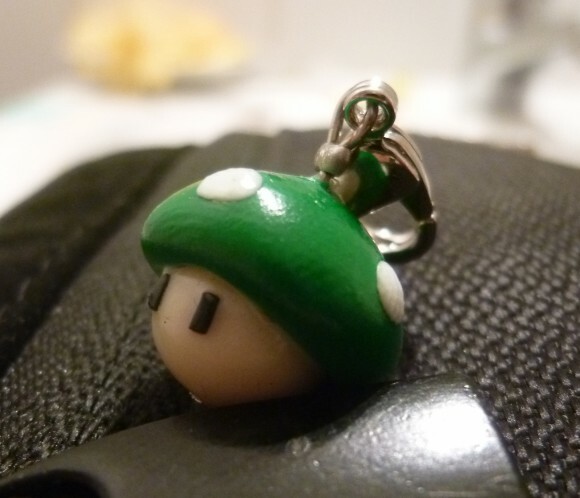 …also available as bracelet charm!